Emily practices with Preti Flaherty’s Business Law group from the firm’s Portland office. 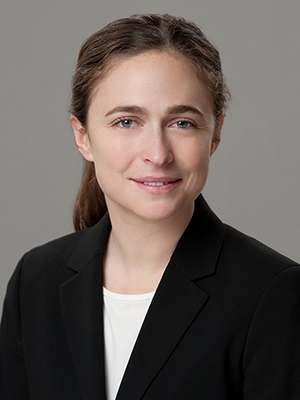 Her practice focuses primarily on corporate law, with an emphasis in tax, and a broad range of transactional law matters, including entity formation, mergers and acquisitions, contract issues, and estate planning. She also works with nonprofit organizations with respect to tax matters and general operations issues. Emily is a graduate of Pepperdine School of Law, where she served as a member of the Pepperdine Law Review. She has a Bachelor of Accountancy degree from Loyola University of New Orleans. Prior to law school, she interned with wealth management groups and an accounting firm. She is the recipient of the Kenneth R. Clegg Award for Excellence for attaining the highest overall score and the Laurie A. Gibson Award for the highest essay score on the Maine Bar Exam. Emily currently lives in Portland with her partner, Doug.